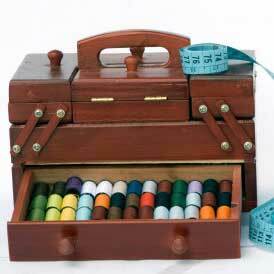 Looking for a fun way to make your sewing projects look entirely professional? Then it is time to learn How to Label Your Crafts professionally. Use this custom label tutorial to learn how to sign your artwork like a true and professional artist. It does not matter whether or not you are gifting your projects or selling them at a local art fair, no matter where they end up, people will know exactly where they came from! I make all kinds of crafts and was wondering how I could label them. This is a good way to do them with the Craft Attitude film and it is not that expensive and I like some of the ideas she has on what to use. I also like that you can take anything you like off the internet to use as lettering or pictures so you can personalize to your liking. Has anyone done this yet? I must research this. This is so cool! I love that you can make your own labels. I wonder if there's enough room to include some care instructions, too?